We’ve been testing a new combination that’s working so well we think you should try it. We had the good fortune to work with several riders at the Man Against Horse 50 last weekend. It was the perfect trail to test our new booting protocol of Easyboot Gloves in combination with Goober Hoof Pack. 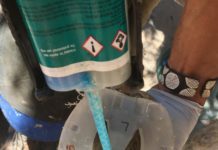 By adding glue to the sole of the foot, the horse benefits from additional solar protection for rocky or challenging trail. 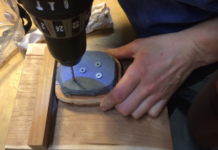 The boot also sticks to the foot with the help of the glue. 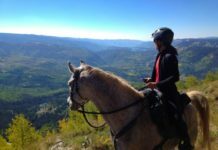 We have tried this method with three different horses on three different (and very rocky) 50-mile races. We have yet to lose a boot. Here is a photo of the Glove glued on: no muss, no fuss. The boots are easy to remove and the best thing is that the Goober Hoof Pack peels right out of the boot by hand so the boots can be used again and again. The video below explains the application process. 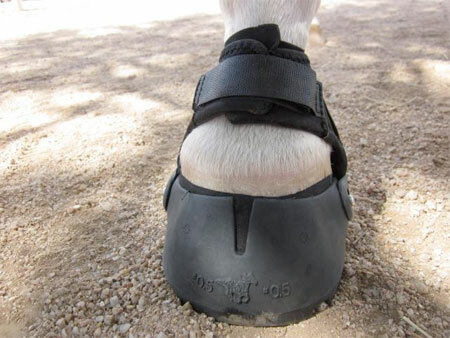 Note: if you want to use this method, the boots should be applied 12-24 hours before the horse is to be ridden in order to allow the glue to set up. 24 hours is optimal. Have you tried this with your Easyboot Gloves? If so, let us know how it worked or if you have any questions.